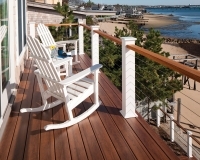 We build our decks with your choice of pressure-treated lumber, Trex composite decking or Zuri premium decking. 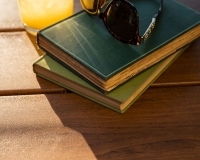 Read more about the options below. 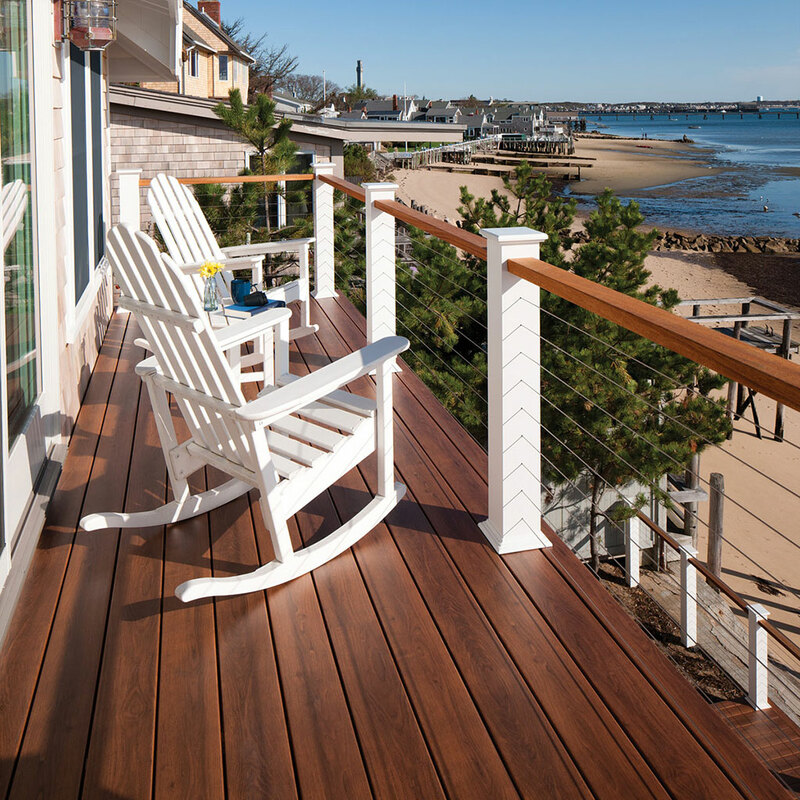 As the leading wood-alternative decking in the United States for nearly 20 years, Trex® decks have inspired homeowners to harness all the possibilities of the great outdoors. 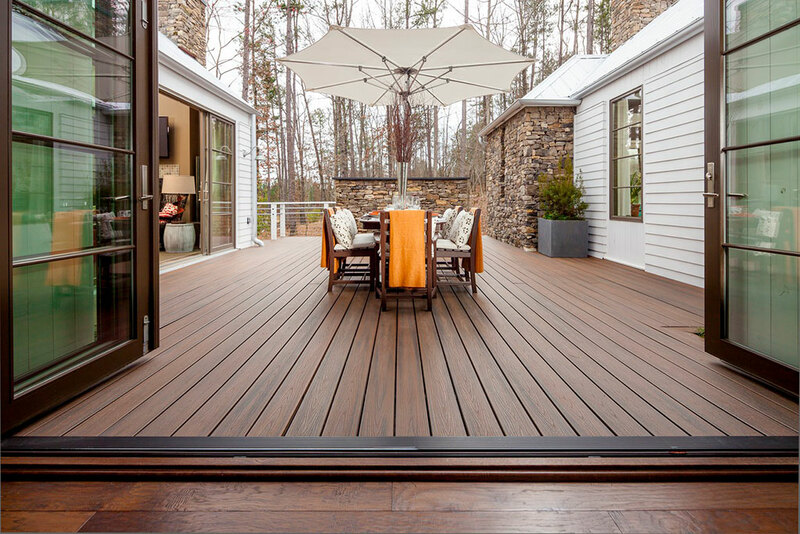 With a high-definition, natural wood-grain pattern or our striated tropical hardwood finish, Trex decking is engineered with a low-sheen, high-traffic technology that makes it last decades longer than anything else out there. 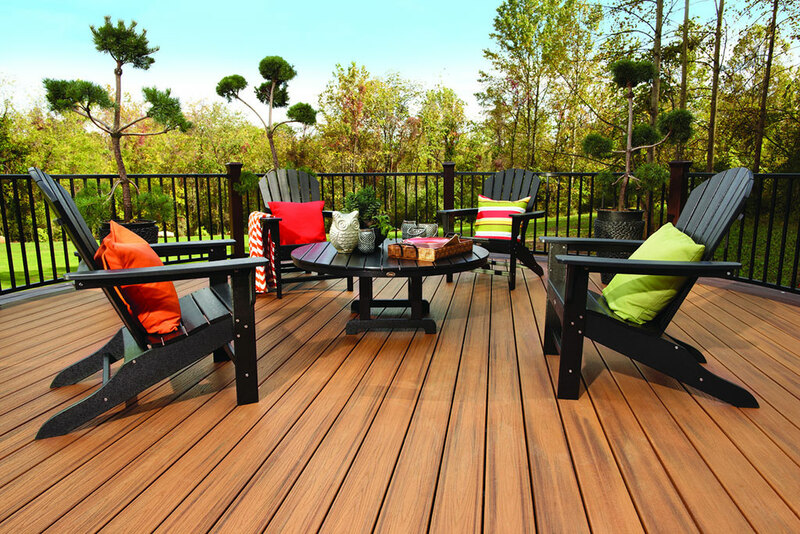 Trex decking is made of 95% recycled materials, including plastic packaging, reclaimed wood and sawdust–no trees come down, no rainforests harvested. 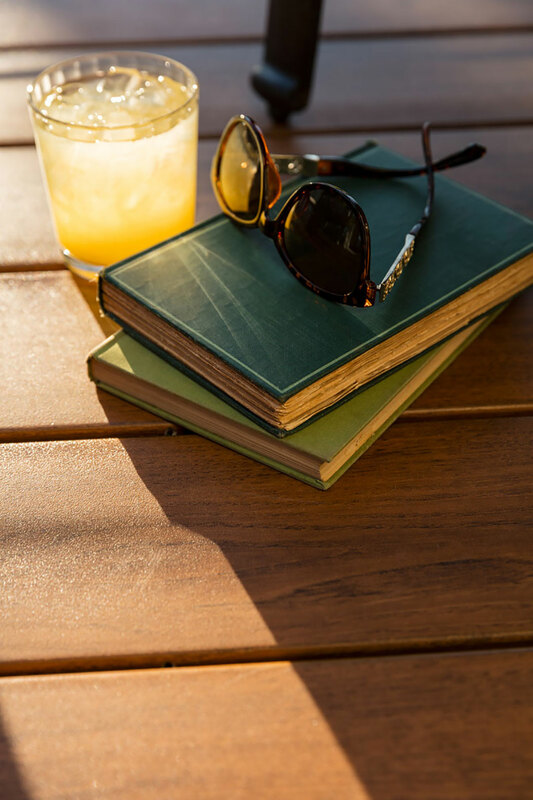 Plus, Trex is as green as it gets, with factory runoff and refuse recycled back into the manufacturing line. 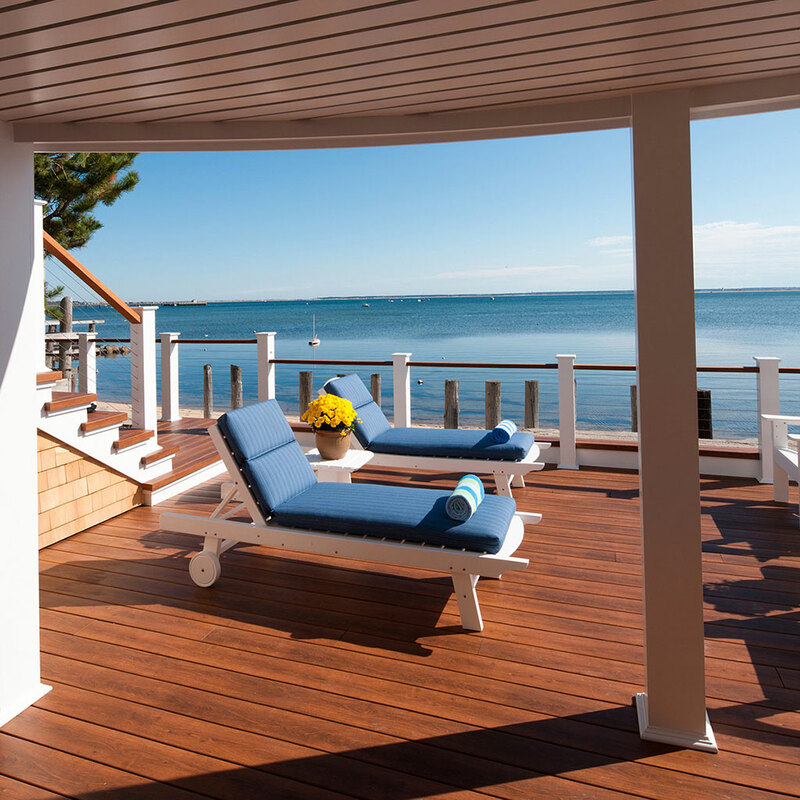 Unless you call an occasional cleaning with soap and water “work,” get ready for hassle-free, carpe diem outdoor living, compliments of our signature high-performance shell, which protects the exposed surfaces and requires no sanding, no staining and no painting. Ever. 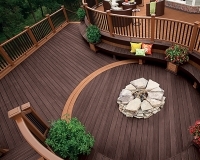 Zuri® Premium Decking by Royal® was created for the homeowner who can’t get enough of the beautiful look and feel of exotic hardwood but has had enough of living with the demands of maintaining its looks. 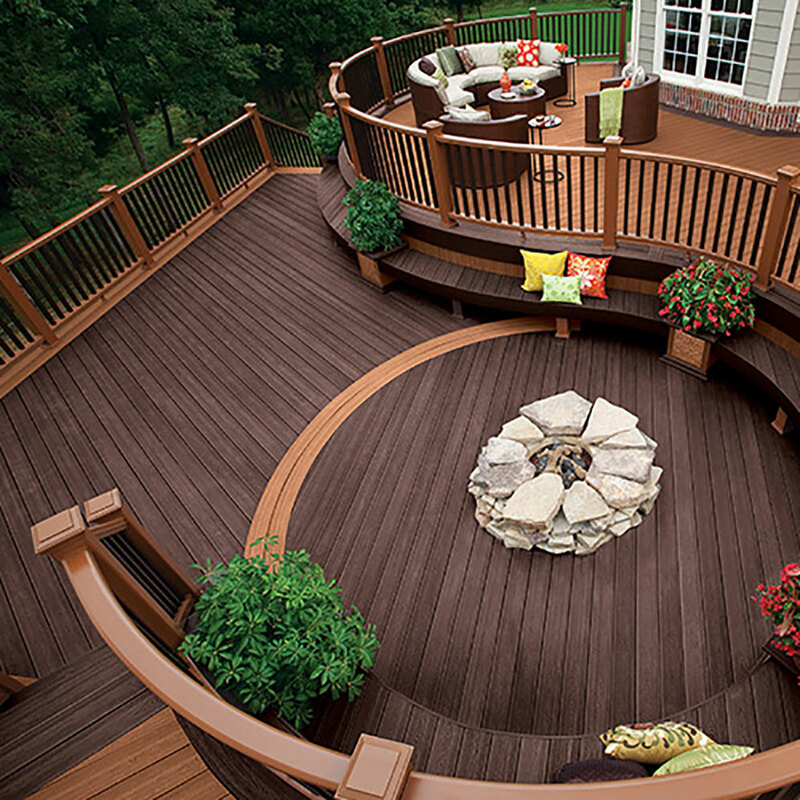 No other decking looks as amazing and lasts as long as Zuri—an effortless extension of the ideal living space.